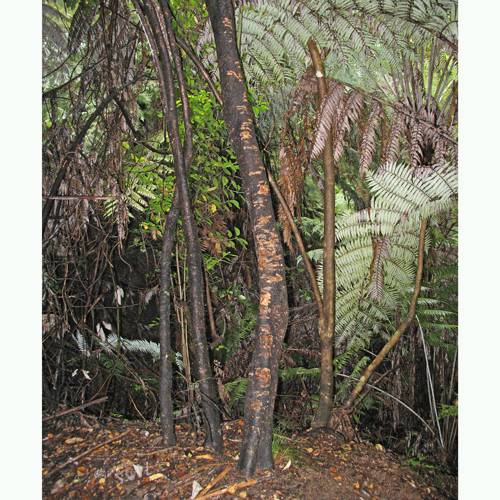 This example, taken at Torrent Bay, Nelson, shows how extensive bark damage by possums can be. The height, as well as the pattern of damage, points to possum damage as it extends well above the reach of ground dwelling animals that also damage bark such as deer. However, possum bark damage can be confused with that of kaka.